Recently, I’ve noticed the ♻️ RECYCLING SYMBOL emoji has been unexpectedly tearing up the charts on Emojitracker. In fact, it is now being used at a rate where it should shortly catch it up to the #2 position as the second most frequently used emoji on Twitter of all time. The numbers are nearly off the charts. Comparative tweets per second rate for different emoji, from a recent sample I took. The Recycling Symbol is now being used at a rate that should shortly catch it up to the #2 position as the second most frequently used emoji on Twitter of all time. If you have a fast internet connection, you can watch the tweets stream by for a few moments to get a sense of what this looks like. The first thing you’ll likely notice is the predominantly Arabic language tweets using it. I became quite curious as to what was going on here — over the past four years of staring at Emojitracker, I’ve never seen anything grow at nearly this rate. 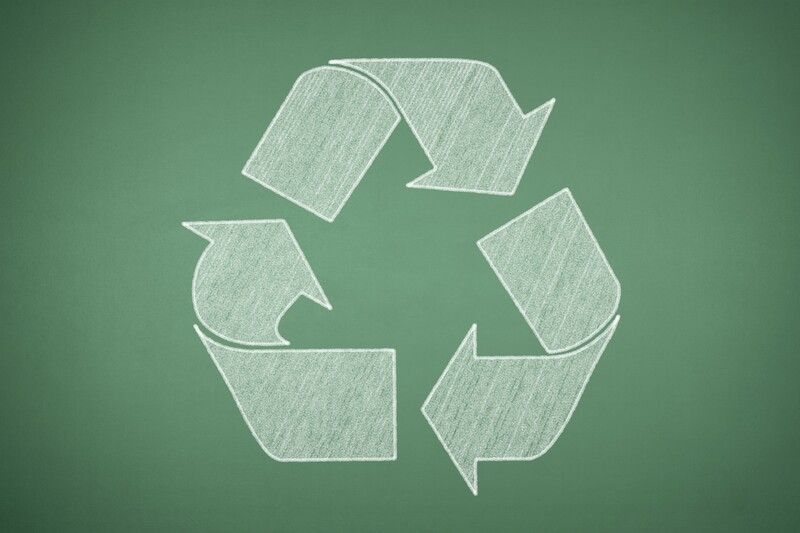 Perhaps the recycling symbol emoji is just frequently used in Arabic speaking regions? After all, green is an important color in Islam — and you can also see this influence in the disproportionate amount of Arabic language tweets for the 💚 GREEN HEART and ✅ CHECKMARK emoji on Emojitracker as well. However, the ♻️ usage appeared to be different. 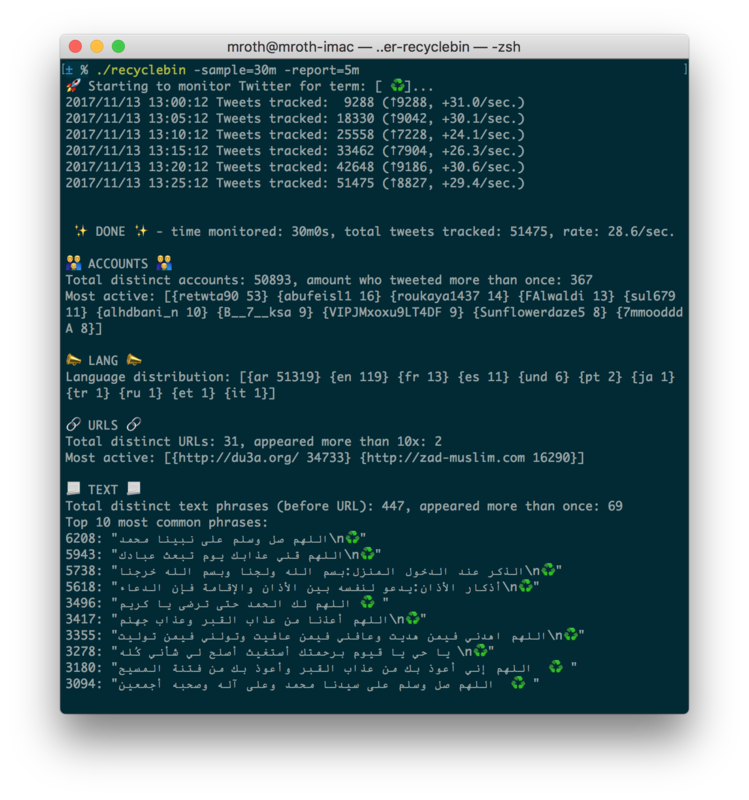 Even though I couldn’t read the Arabic text, watching the tweets fly by on Emojitracker they seemed in the tweet structure to be… more uniform and less organic than I would typically expect. Perhaps tellingly, the tweet text almost always seems to end in a link to the same few common websites. So could this be… bot spam? People have certainly attempted to spam the Emojitracker charts before (typically in “support” to artificially bolster whatever the least used emoji was at the time), but the scale required way down at the bottom of the chart is much lower. Recycle Bin has now made it’s way all the way up into the Top 10 emoji, where the background volume of tweets is massive — by my napkin math, in order to artificially influence Twitter at that scale would require, at a minimum, a dedicated network of thousands of bot accounts. Some things immediately jumped out at me. The traffic was definitely “atypical” in that the same exact phrases was appearing over and over, but not as retweets —this is also something you’d expect to see on a spam bot. However, the sheer variety of user accounts was massive — more than 50,000 unique accounts over a half-hour period. And while some were tweeting multiple times in the hour, the vast majority were not. The traffic seemed organic in terms of the distribution of users. 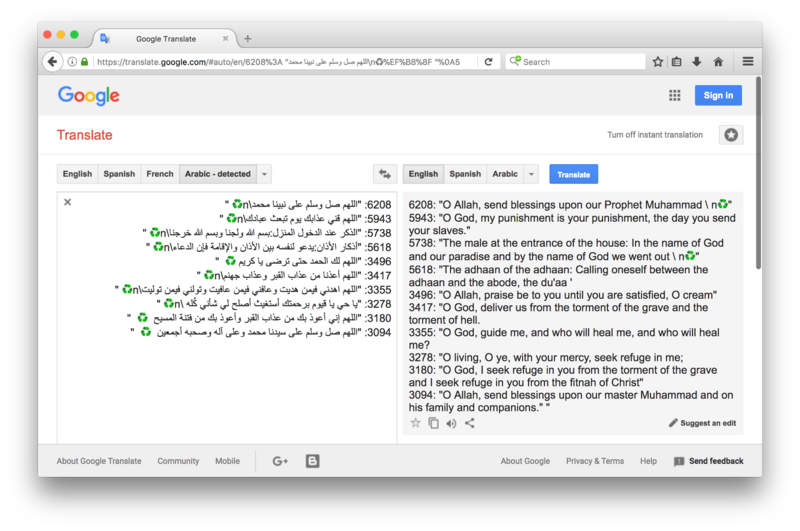 Bad Google Translate translations aside, they certainly appeared to be religious in nature, so my first guess was that these were perhaps quotes from the Quran. So what about are those website URLs then? Well, it turns out if I had just attempted to translate the websites from the beginning, I probably would have saved myself some time in figuring this all out. Combined with some best guess Google Translating, these websites appear to be Twitter applications designed to aide in automated posting on the behalf of the user. Zad-muslim.com describes itself as “a free application through Twitter through which you can send Quranic tweets to your account .. Sign up now so that the account will be lost in your life and after your death.” The other site, du3a.org, the URL itself is almost certainly a reference to Islamic “dua,” a calling upon God. My assumption here is that a user authenticates their Twitter account, and the app then handles tweeting daily dua on their behalf. Many people use these apps to post Duaa (prayers) on their behalf. I know a relative who subscribed to one of these apps on FB through her deceased husband’s account. The intention is to keep his profile alive with prayers on a daily basis and people can remember him and pray for him. It is a common thing in the Arab world as I know. Regarding the symbol that is posted with every post, I couldn’t find any website in Arabic that explains why they are using this symbol. My guess is that this symbol may represent (Share). So people will think about sharing the Duaa with others if they see this symbol. I understand that it means recycling, but also can be understood as please share this Duaa and it will continue to be shared and so on, just like recycling and using the same material again and again. I don’t have a better explanation for using this symbol. I don’t think they are using it because its color (green). I think if they wanted to use an Islamic symbol, they would have used a crescent or a star or something else. While this was perhaps common knowledge for many, for me it was a fascinating dive into a part of Twitter I was not previously familiar with. It’s yet another example of how much variety there is in cultural use of technologies, as well a reminder to me how much may seem a mystery at first due to language barriers (As someone who travels frequently, my one dream for a magic wish would be instant mastery of dozens of different languages). Hope this exploration was interesting to others as well — and I’d love for you to share any other novel uses of Twitter and/or Emoji with me that you find. Postscript #1: The Twitter analysis program I wrote is designed to work on any term, and works with the public Twitter Streaming API available to any developer. It’s pretty rough (e.g. was made to be “good enough” to answer this question for me), but as it may be useful to others I put it up on GitHub if folks want to run with it. Postscript #2: Emojitracker.com, the website that started this all for me, has been running since 2013 and operates completely out of pocket. It now has a Patreon to help subsidize the server costs of tracking — at current count — over 20 billion tweets. I’d love your support! Artist + hacker. Made @emojitracker & other internet detritus. Past lives: @flickr, @bitly, @polaroid, @khanacademy.